20141102 - Up in am L&D to church early to be presented to the church as a confirmand. 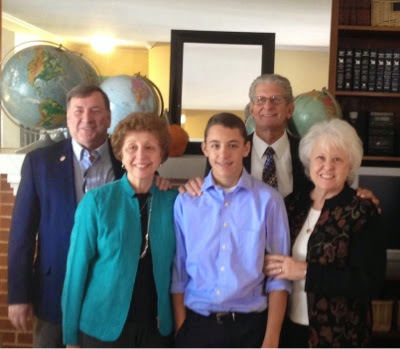 JG&I headed to the 9:30 service and met them and Gma&paB&W for D to be presented to the church again. L&D stayed for the 11 for one more presentation to the church and then met the rest of us at BWs for lunch (Dylan's pick). We had a nice lunch and celebrated D's confirmation. After lunch J&I went and got supplies for the upcoming football party. Home and D headed to a youth group event while LJG&I watched 'Heaven is for Real', great movie. All home and little boys to bed. D&I stayed up to watch The Walking Dead. Then a bit of Titan Fall. Proud of Dylan Today!